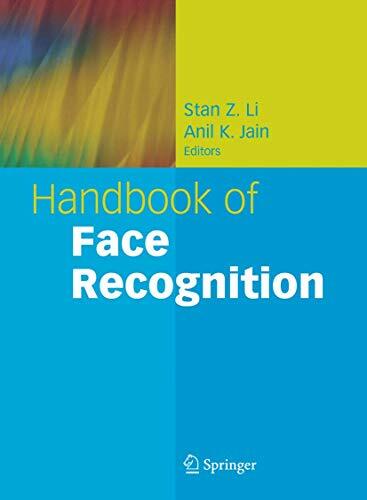 Handbook Of Face Recognition /: 9780387405957 Hardcover - LIMEROCK BOOKS INC. Although the history of computer-aided face recognition stretches back to the 1960s, automatic face recognition remains an unsolved problem and still offers a great challenge to computer-vision and pattern recognition researchers. This handbook is a comprehensive account of face recognition research and technology, written by a group of leading international researchers. Twelve chapters cover all the sub-areas and major components for designing operational face recognition systems. Background, modern techniques, recent results, and challenges and future directions are considered. The book is aimed at practitioners and professionals planning to work in face recognition or wanting to become familiar with the state-of- the-art technology. A comprehensive handbook, by leading research authorities, on the concepts, methods, and algorithms for automated face detection and recognition. Essential reference resource for researchers and professionals in biometric security, computer vision, and video image analysis.